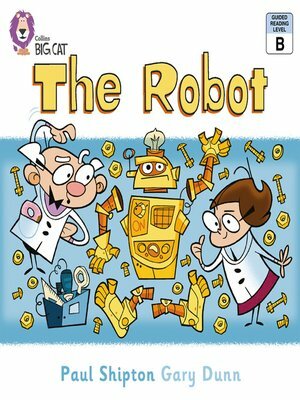 A humorous story featuring two whacky scientists building a robot. They assemble the robot carefully with each body part, but where is the head? In this simple text, each body part is named as it is added, and as the different parts are used, a repeated reply of thank you reinforces the phrase. â?¢ Pink B/ Band 1B books offer emergent readers simple, predictable text with familiar objects and actions. â?¢ Text type - A patterned story with predictable structure â?¢ The body parts are repeated in a single labelled diagram of the completed robot on pages 14 and 15 providing opportunities for speaking, listening and writing. Paul Shipton is an award-winning children's author. He published his first children's book in 1991, (Zargon Zoo). He lives and works in Wisconsin, USA.